Kathi wants to make it as an actress in Berlin but she’s not particularly successful. She’s just the opposite of her control freak mother Chris, who is very successful at undermining Kathi’s attempts at independence. 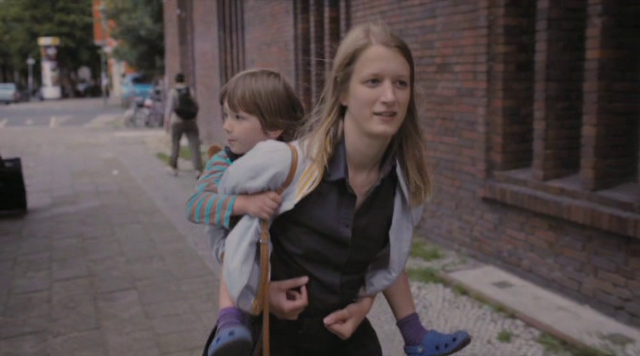 When Kathi has to leave her 4-year-old son for a short while, Chris seizes the moment and takes her daughter’s child away. To make matters worse, Kathi’s father Wolfgang suddenly appears because he wants to win back his ex-wife. Kathi finds herself caught between her parents. Wolfgang keeps reminding the two of them of the past until mother and daughter can no longer suppress their conflict. Kathi finally manages to confront her mother.